» Is Anemia A Running Epidemic? Iron deficiency? 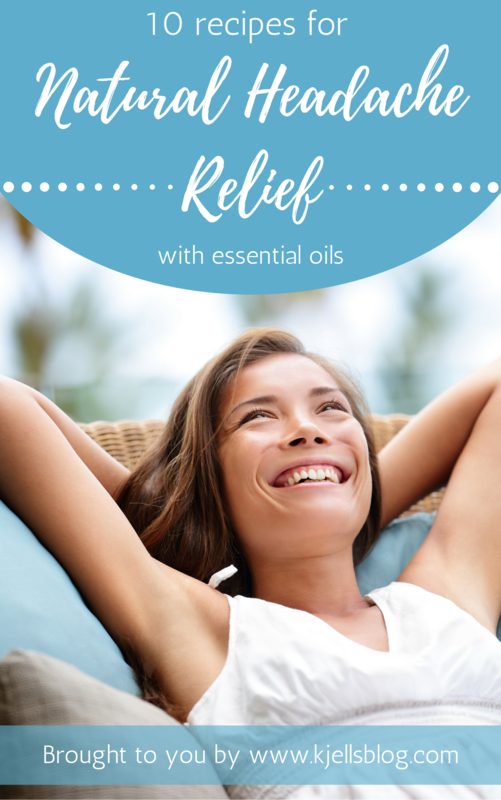 Relieve your headache symptoms quickly and naturally with essential oils! Is Anemia A Running Epidemic? Iron deficiency? The most difficult issue is to know whether someone is iron deficient or not. Anemic persons will usually have noticeable symptoms. There are of course individual variations. What is considered as a normal value for one person can be insuficient for another. Athletes should have a ferritin level above 30 and a lower level of Hgb: 15.7 or higher for males and 14.0 or higher for females. The optimum time period for athletes to take iron supplementation, especially when they train multiple times a day, seems to be limited. The best time being in the morning, after a night´s rest. Low-dose iron supplementation (40-60 mg) on alternative days seems to increase iron absorption. It is important to remember that iron is toxic and governed by absorption. The more you take in the more you are at risk. I strongly advice that you check with your physician if you think your dietary intake of iron is inadequate and are considering iron supplementation. Iron deficiency is prevalent in distance runners and may impair endurance performance. The most common symptom of all types of anemia is fatigue (tiredness). Fatigue occurs because your body doesn’t have enough red blood cells to carry oxygen to its many parts. Anemia also can cause shortness of breath, dizziness, headache, coldness in your hands and feet, pale skin, chest pain, and weakness. Iron deficiency anemia arises when the balance of iron intake, iron stores, and the body’s loss of iron are insufficient to fully support production of red blood cells. Inadequate supply of dietary iron. Athletes who avoid red meat have difficulty meeting the body’s iron needs. Increased demands for iron. Hard training stimulates an increase in red blood cell and blood vessel production and increases the demand for iron. (Iron turnover is highest for endurance athletes training at high intensity). High iron loss. Blood loss through injury, or menstruation. In endurance athletes, ‘foot strike’ damage to red blood cells in the feet due to running on hard surfaces with poor quality shoes leads to iron loss. Stomach and gut lesions due to reduced blood supply (ischemia) or frequent non-steroidal anti-inflammatory drug use which my promote gastric lesions with small bleeding wounds (ulcerations), loss of iron through urine caused by insufficient renal blood supply and finally, because iron is lost in sweat, heavy sweating leads to increased risk of deficiency. There are lot of arguments about which are the main cause of iron deficiency in athletes. New research seems to have found a more plausible explication. Iron is an important element for human health, as it makes up the heme molecules of hemoglobin, which carries oxygen within red blood cells (the amount of iron in the human body is not large—approximately 4.0 g in a typical adult male). It is necessary for athletes to have sufficient hemoglobin in order to perform at the highest level. In fact, oxygen carrying capacity through hemoglobin is so important for performance that athletes use altitude tents, or train in hypoxic environments, in order to stimulate greater production within the body. and the iron-containing hemegroups in green. Illegal exogenous methods, such as EPO or blood doping, also aim to achieve the same effect – namely increasing the amount of oxygen that can be unloaded at the muscles, thereby increasing the athlete’s ability to work aerobically. As mentioned above it has been argued that anemia (deficiency of red blood cells) in athletes was caused by: “foot-strike hemolysis” or intravascular hemolysis in which red-blood cells are essentially crushed from running or other exercise-related trauma. However, iron is not technically lost in these cases, and the body is capable of recycling that iron to form new red blood cells. So I find it little convincing that this can cause iron deficiency. Other causes may relate to a lack of blood flow to the gut during intense exercise, possibly along with non-steroidal anti-inflammatory drug use, causing small wounds (ulcers) in the stomach with some bleeding . Other minimal mechanisms include loss of iron through sweat and urine. 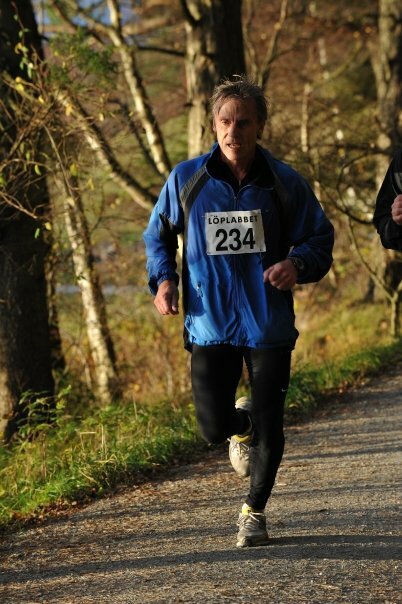 However, despite the fact that these forms of iron-loss are certainly occurring, it dosen´t necesaryly explain that these forms can clarify the extent to which endurance athletes have iron deficiency or iron deficiency anemia. It’s obvious that inadequate supply of dietary iron is a cause of iron deficiency, but despite sufficient and healthy diet there still are athletes suffering of various grades of iron deficiencies. New research suggests that one of the most important causes of iron deficiencies in athletes may be due to impairment to iron absorption rather than iron loss. It is possible that a peptide hormone called hepcidin (a protein produced in the liver) blocks iron uptake in the gut mucosa (duodenum and ileum) in athletes. Low value of hepcidin enhance the absorption of iron from the gut and therefore normally is low in iron deficiency anemia. However, hepcidin production increases with inflammation, and it is well known that exercise increase inflammation acutely. This may be the cause of that iron-deficiencies are fairly common issues among elite endurance athletes. It may also limit the window in which athletes can take in iron, especially when they train multiple times a day. and an iron status signal based on iron blood levels and iron stores. If plasma iron or iron stores are increased, the resulting signal increases hepcidin, thereby blocking iron absorption and preventing iron overload. What kind blood tests to take to determine whether you are iron deficient and/or anemic? When should you consider take a blood test? If you as an endurance athlete are feeling tiered without any obvious reason you should consider taking a test. The challenge is to find a doctor that have the knowledge how to interpret the results. Ferritin levels in the blood (seFe). This was thoroughly documented in the article of Guyatt and coworkers in 1992 and still is actual today. (Guyatt GH, Oxman AD, Ali M et al. Laboratory diagnosis of iron-deficiency anemia; an overview. J Gen Intern Med 1992; 7: 145-53). Ferritin is a universal protein located in cells that stores iron and releases it in a controlled fashion. The protein is produced by almost all living organisms, including algae, bacteria, higher plants, and animals. In humans, it acts as a place to store iron temporarily. With iron deficiency the ferritin will release iron and with iron overload it will store iron (acts like a buffer). In humans small amounts are secreted into the blood stream (plasma) where it function as an iron carrier. Plasma ferritin is an indirect marker of the total amount of iron stored in the body, hence serum ferritin is used as a diagnostic test. If iron is the reason for the low hemoglobin (which is most often) then you have Iron Deficiency Anemia. However, if you have a low ferritin, but your hemoglobin is still normal, you only have iron deficiency. The difference is important as anemia is certainly more severe, but research clearly shows that having iron deficiency without anemia can lead to fatigue, lower productivity, and ultimately could lead to reduced endurance (This last situation is why it is so important taking a blood test as an endurance athlete. If you have anemia I think most of us will have symptoms leading to consulting a doctor, but if you only have iron deficiency you may not be aware about it). Before going further we have to decide which blood tests to take and what are the normale values. The values are different between men and women. 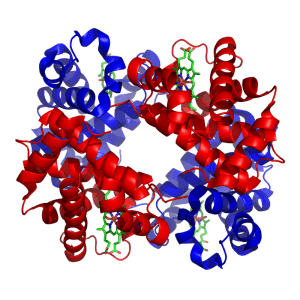 Hemoglobin (Hgb), is the protein molecule in red blod cells that carries oxygen from the lungs to the body’s tissues and returns carbon dioxide from the tissues back to the lungs. Hemoglobin is low in people with anemia. Hematocrit (HCT), is a test that measures the proportion of a person’s blood that is made up of red blood cells (RBCs). Blood consists of RBCs, white blood cells (WBCs), and platelets suspended in a fluid portion called plasma. The hematocrit is a ratio of the volume of red blood cells to the volume of all these components together, called whole blood. The value is expressed as a percentage or fraction. For example, a hematocrit value of 40% means that there are 40 milliliters of red blood cells in 100 milliliters of blood. Ferritin, see explication above. Iron (Fe), amount of iron bound to transferrin in the blood (serum). Total iron binding capacity (TIBC). Iron is transported in the blood as transferrin, a major transport protein. Transferrin carries 60-70% of the body’s iron. The total amount of iron bound to transferrin is referred to as total iron-binding capacity (TIBC). TIBC will help your doctor differentiate between different types of anemia. TIBC is high in iron deficiency anemia and low/normal with anemia of chronic disease. TIBC is also used to help doctors diagnose iron overload, which is called hemochromatosis. Soluble Transferrin receptor (sTfR). The number of transferrin receptors found on the surface of cells correlates with the level of iron within cells. When the iron level drops, the cells produce more transferrin receptors. As more receptors are produced, more are cleaved from cell surfaces and enter the blood, increasing the level of soluble transferrin receptors. Thus, measuring the level of sTfR is one way of evaluating the amount of iron available in the body. How to interpret blood tests in endurance athletes? If you are a male and have a Hgb < 13 g/dL you have an iron deficiency anemia and likewise if you are a female and have a Hgb < 12 g/dL. The problem is when you have normal Hgb values and somewhat low ferritin values. In this group there will be people suffering of iron deficiency which can give fatigue and lowering the athletic performance. There is lot of discussion of what are the normal blood test values and when to consider if an athlete should be treated with iron supplement or not. Normal values for one person doesn’t need to be normal for another person! There are individual differences and reactions how athletes tolerate iron loss. That’s why I think it’s important to take at least two blood tests each year to follow up your normal individual values. If there are changes you must discuss that with your doctor and if necessary take the required measurements to solve the issue. The two most important blood tests are hemoglobin and ferritin. It’s important to know that ferritin can be false negative. If you have an inflammation going on it can show normale value even if you have iron deficiency. I will recommend that you ask your doctor to take a CRP-test. C-reactive protein (CRP) is found in blood plasma, whose levels rise in response to inflammation. While these tests are somewhat standard the normal limits for the general population are not the same as the normal limits for athletes. I will recommend athletes should have a ferritin above 30 and the lower level of Hgb is 15.7 for males and 14.0 for females. Choose lean cuts of red meats, and dark poultry meat 3-4 times per week. Eat enriched or fortified breads, cereals, and pastas regularly. Take vitamin C-containing foods with an iron rich meal to enhance the iron absorption ie. orange juice (vitamin C) with red meat (iron), tomatoes (vitamin C) with your bean chili or bean soup (iron). Avoid substances that inhibit iron absorption with your iron rich meal and use them in moderation: tannic acid (tea) and polyphenol (coffee). Remember that the iron in meats (called heme iron) is better absorbed than non-heme iron in vegetables, fruits, beans and whole grains. ¨ Cook foods in cast iron skillets or pots to significantly increase the iron content of the meal. A doctor and specialist in pathology. He has always been concerned about health and how to manage a good and healthy lifestyle. The blog will mainly be about the use of essential oils, health, and training. How do plants make essential oils?